Mathis MW, Mathis A, Uchida N. Somatosensory Cortex Plays an Essential Role in Forelimb Motor Adaptation in Mice, Neuron. 2017. 10.1016/j.neuron.2017.02.049. Ho R, Sances S, Gowing G, Amoroso, MW, et al. ALS disrupts spinal motor neuron maturation and aging pathways within gene co-expression networks. Nature Neuroscience, 2016. Li H, Kuwajima T, Oakley D, et al. Protein Prenylation Constitutes an Endogenous Brake on Axonal Growth. Cell Reports. 2016.16 (2) :545 - 558. Re D B, Le Verche V, Yu C, Amoroso, MW, et al. Necroptosis Drives Motor Neuron Death in Models of Both Sporadic and Familial ALS. Neuron. 2014. 81 :1001 - 1008. Amoroso MW, Croft GF, Williams DJ, et al. Accelerated High-Yield Generation of Limb-Innervating Motor Neurons from Human Stem Cells. Journal of Neuroscience. 2013. 33 (2) :574 - 586. Nédelec S, Peljto M, Shi P, et al. Concentration-Dependent Requirement for Local Protein Synthesis in Motor Neuron Subtype-Specific Response to Axon Guidance Cues. Journal of Neuroscience, 2012. 32 (4) :1496 - 1506. Takazawa T, Croft GF, Amoroso MW, et al. Maturation of Spinal Motor Neurons Derived from Human Embryonic Stem Cells. PLOS ONE, 2012. 7 (7) :e40154. Boulting GL*, Kiskinis E*, Croft GF*, Amoroso, MW*, Oakley, D* et al. 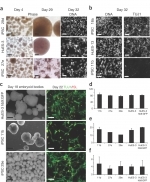 A functionally characterized test set of human induced pluripotent stem cells. Nature Biotechnology, 2011. 29 (3) :279 - 286. Bock C, Kiskinis E, Verstappen G, et al. Reference Maps of human ES and iPS cell variation enable high-throughput characterization of pluripotent cell lines. Cell, 2011.144 (3) :439 - 452.